Growing spiritually can sometimes be challenging without the right equipment, tools and resources. Therefore, we’ve put together a list of our favorites to help you get inspiration and insight as you navigate through life and walk with Jesus. If you’ve ever wondered, is this it? Is there more to life? Why am I here? Let us help you discover the answers to these questions as you experience God’s transforming power on your spiritual growth journey. 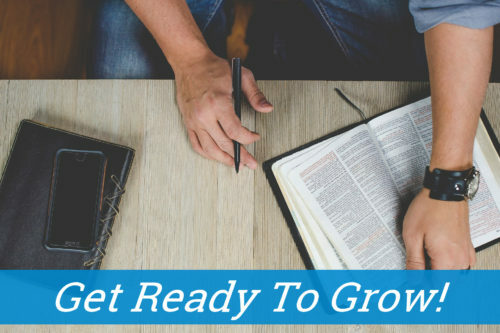 These tools will help you develop the keystone habits you need to grow in spiritual maturity. Start with daily time in the bible and daily prayer and work your way up from there. These daily habits will change your life! Ever wonder who this Jesus guy is all about? 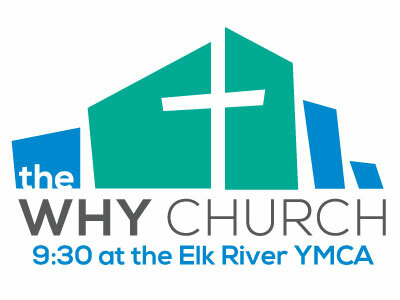 Ready to start finding out more about the Christian faith? This book is a good place to start. On the eve of his crucifixion it seemed like Jesus’ influence on the world had ended. On the contrary, it had just begun. 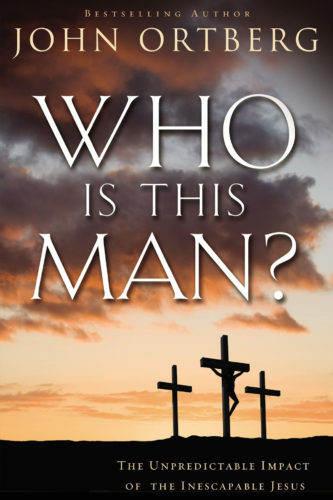 In Who Is This Man?, John Ortberg reveals how Jesus has impacted civilization and individual human hearts. His influence has swept over history bringing inspiration to what has happened in art, science, government, medicine, and education; he has taught humans about dignity, compassion, forgiveness, and hope. Let’s face it. The Bible can be puzzling. Questions will often come to mind while you’re reading it. 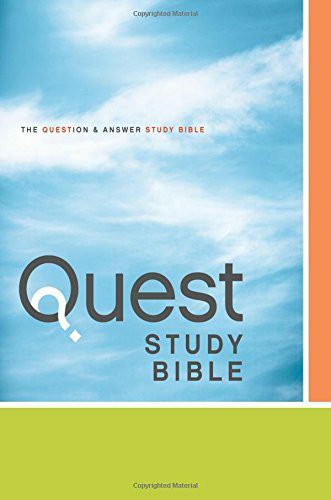 The NIV Quest Study Bible anticipates these questions and gives you various interpretations by today’s most trusted scholars. It addresses the common, uncommon, and sometimes perplexing questions people have about Scripture. There are also 3 reading plans and maps included. 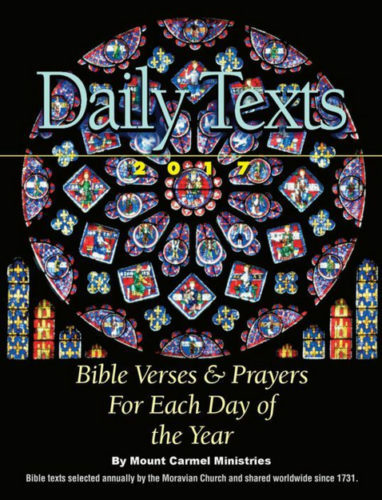 The Daily Texts are a unique devotional book with two Bible verses for each day – one from the Old Testament and one from the New Testament. These are followed by a prayer for each day based on the TRIP© prayer method. Scripture readings to read through the Bible in one year are also provided. There is room for prayer and devotional notes throughout the book. Tens of millions of people are using the Bible App™ to make God’s Word a part of their daily lives. Download the free app and access your bookmarks, notes, and reading plans from anywhere. Enjoy hundreds of versions, including audio, all on your mobile devices like iphone, Kindle, computer, etc. You’ll find reading plans sorted into topics, feelings, faith level (e.g. new believer) and more. 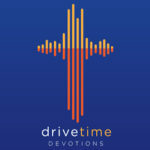 Get a bible verse (devotional) along with interpretation from Pastor Rick Warren. 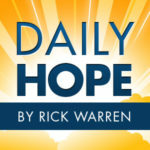 You can sign up to have it delivered daily directly via email or subscribe to the daily hope podcast to listen to the messages. The greatest desire of Daily Hope Ministries is that their listeners would be compelled to learn the Word, love the Word, and LIVE the Word! Be ‘doers’ of the Word! (James 1:22). 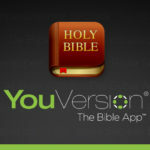 App available for iphones or Android with 10 to 12 minute bible segments. The purpose is to help you know God’s Word and put it into practice. Episodes are designed to be listened to once per day, five days a week. That way, you can miss two days each week and still stay on schedule. Challenge yourself to memorize a verse from the bible (one per week or two per month). 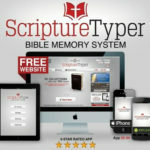 The Scripture Typer app is the complete Bible Memory System for mobile devices and the web. Scripture Typer breathes new life into your Bible Memory time by actively engaging three separate cognitive areas: Audio, Visual & Kinesthetic (Touch) memory. 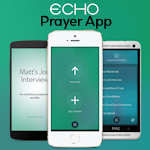 ECHO exists to help you pray. We believe that prayer is a powerful and effective way for us to connect with God. If you’re anything like us, the biggest obstacles that keep you from praying are difficulty organizing or keeping a list of your prayers, then actually remembering to pray for those things when life gets busy. Echo was created to solve these problems, and to give you space to engage with your Creator. Error: Error validating access token: Session has expired on Saturday, 02-Mar-19 17:19:36 PST. The current time is Friday, 19-Apr-19 15:34:54 PDT.